Jamcracker is led by a seasoned executive team with comprehensive cloud, services and other technology experience ranging from incredibly successful entrepreneurs to Fortune 50 leaders. Our collective passion is to enable our global enterprise, government, services and technology customers and partners to adopt and extend new cloud business models. We fundamentally believe that our success stems from your success. K.B. 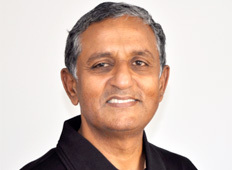 Chandrasekhar ('Chandra') founded Jamcracker in 1999, and was also co-founder and Chairman of e4e Inc., a business process outsourcing company. In the mid-1990s, Chandra founded Exodus Communications, which he led to become the leading provider of enterprise hosting services. The company went public in 1998 in one of the most successful IPO's of the late 90's, and in 1999 Chandra was honored as the Ernst & Young Northern California Entrepreneur of the Year. 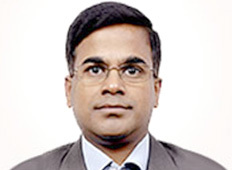 Sathya has an accomplished sales career spanning more than 2 decades. He has led sales organizations for large & small software product & services organizations internationally - IBM, Unisys & Pramati. Having been an entrepreneur himself helped him to start fresh on multiple occasions and developed markets across multiple geos worldwide. 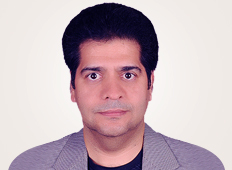 At Jamcracker he is responsible in building sales organization across Europe, APAC, MEA & Japan in the last decade which contributed more than 75% share in revenues and established Jamcracker as a leader within Service provider market. He is currently building sales channels to launch & market the new Appliance product line focussed on serving Enterprises worldwide. Vinay joined Jamcracker in 2000, coming from Oracle where he led the development of their Internet Applications and CRM integration products. Prior to this, Vinay was with TCS, Asia's largest independent software and services organization, where he led the development and implementation of ERP and custom applications for financial services, health care, and government markets.